The 2019 charity shoot in aid of Menphys will be held on Saturday, 17th August. The shoot will consist of 4 person teams shooting an 80 bird sporting over 10 stands and an 80 bird flurry. Entries are £190 per team and includes a sausage or bacon roll and tea or coffee. As usual the presentation of the prizes and charity auction will take place at the Elephant and Castle, Thurlaston. As usual sandwiches and chips will be provided. Normanton Shooting Ground is a premier clay shooting ground based in Leicestershire. Established in 1968 the shooting ground has a long running history of success and extensive development. Based on the beautiful Normanton Park Estate, the shooting experience at Normanton is one not to be forgotten. 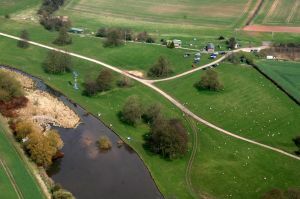 The ground offers a full 50 bird English Sporting course which runs through two wooded areas, 2 CPSA registered Down the Line (DTL) layouts and a pool shoot. Along with catering for the established shot Normanton can also cater for the complete beginner. We have a highly experienced coaching team who have shot internationally at the highest level. Normanton specializes in corporate entertainment, catering for companies such as Vodafone, the National Grid and E.H Smith. Each booking is tailored specifically to the companies requirements from number of shots to food and the most important part, the Prizes. Plastic and fibre wad cartridges are permitted. Maximum permitted cartridge load is 28g. Maximum permitted shot size is number 6.